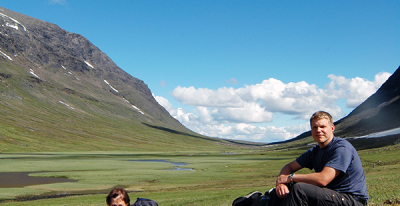 Ok – let´s say this right away – Kungsleden – The King´s Trail – is one of the world’s most famous and perhaps best hiking trails. The trail stretches all the way from Hemavan in the south to Abisko in the north – 425 km through the heart of Lapland. 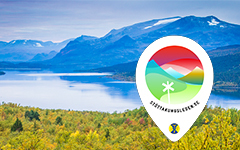 The trail starts in Hemavan in the south and extends to Abisko in the north 45 mil. In between, there is an extremely diverse terrain that offers good hiking no matter if you are an experienced hiker or a beginner. Along the first part of the trail, Hemavan to Ammarnäs, Svenska Turistföreningen (STF) offers service and accommodation at five mountain huts. The huts are self catering and open with a host from mid June to late September. The distance between the huts varies between 8-19 km. When hiking through the beautiful valley of Syterskalet you pass the highest peak in the county of Västerbotten – Norra Sytertoppen 1768 m above sea level. The beautiful seven bridges in the south part of lake Tärnasjön is also one of the highlights along the trail. Almost the entire distance between Hemavan and Ammarnäs goes through Vindelfjällen Nature Reserve, and on the Svenska Turistföreningen (STF) website you find all the information needed for your hike. 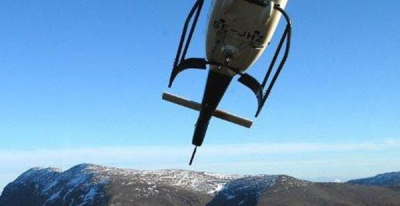 Using a helicopter is a fast and easy way to get out or back from your hike. Contact one of the local helicopter companies for information and booking. How does it work in the STF huts along Kungsleden? 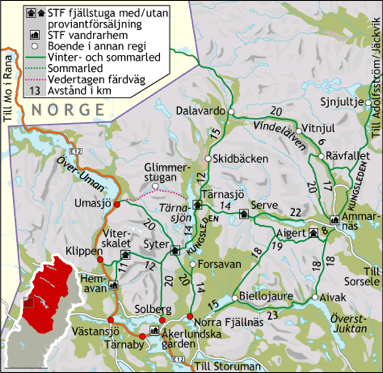 Along Kungsleden’s route between Hemavan and Ammarnäs – STF offers service and accomodation in five mountain huts. The huts are open during the winter and summer season. There is room for everyone,even if the beds can not be booked in advance. The huts are simple, but have a comfortable standard and are intended for self-catering without electricity and running water. The distance between the cabins varies between 8-19 km, and the cabins are seasonal open for self-catering. STF cabin hosts will help with information, supplies sales and charge for services and lodging fees. It is not possible to pay by card – so bring cash if you want to use the cabin of the places of service. STF’s mountain huts are closed between seasons, but a safety room is open year-round. Staying overnight is accepted, but the gas is closed and access to kitchen equipment and firewood is limited. There is an emergency telephone to contact mountain rescue in the safety room. On Svenska Turistföreningens website you find more information. Hiking season normally begins in mid / late June and the huts are open from Midsummer – the end of September. If you plan your hike earlier or later than this we recommend you to contact the local tourist office +46 (0)954 104 50, or otherwise seek information on current snow water and weather conditions along the part of the trail you plan to hike. How and when do I contact Mountain Rescue? If possible, call 112 in an emergency, unless there is a mountain shelter or cabin with an emergency phone nearby. It is important to be aware that large areas of the mountain range have no mobile phone coverage. Read the 6 tips for safe hiking in the mountains.